Due Process by Federal Judges! -The Attorney Worked For The Opposing Party's Business Partner! "This matter is before the Court on defendant's motion for pro bono attorney assistance. (Dkt. 85) The motion is conditionally GRANTED, and the Court will endeavor to obtain pro bono counsel for plaintiff within the next 90 days." (I was the "defendant" not "plaintiff"
"DISCOVERY, All discovery shall be completed by: APRIL 11"
"ORDER APPOINTING PRO BONO COUNSEL FOR DEFENDANT"
The "90" due date for an attorney would be around April 5th. "Reassignment of Counsel that does not have business interests with Trinity Health, St Joseph Mercy Oakland Hospital and American University of Antigua or partners/employees of such organizations would be more fair and unbiased." that we had a meeting (questioning me) about the case. Oakland County Circuit Court and in the Michigan Court of Appeals. we cannot and will not do anything adverse to their legal interests." These are just some of the claims I was defending! 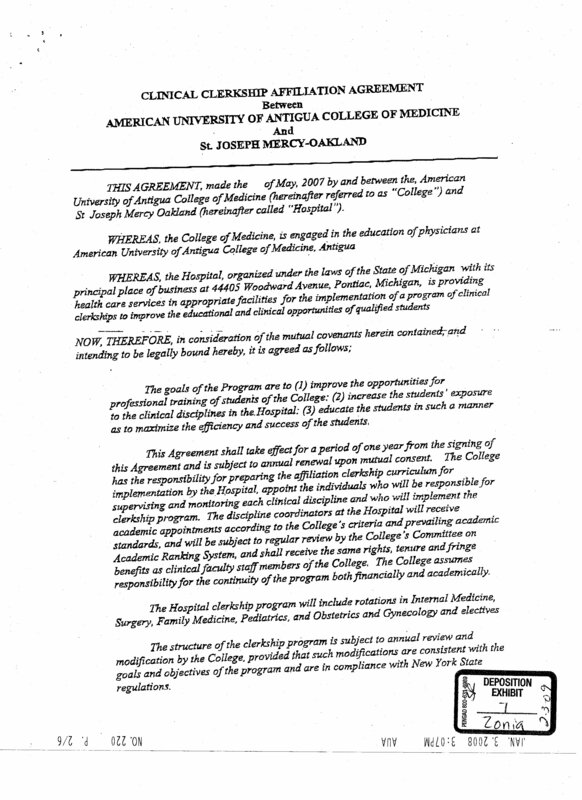 "St Joseph Mercy Oakland Hospital and Trinity Health"
-"AUA falsifies its students' grades. " -"AUA colluded with St. Joseph Hospital to maliciously end[Woodward's] career." "(d) DURATION; SANCTION; MOTION TO TERMINATE OR LIMIT. a deposition is limited to 1 day of 7 hours." I was deposed on three separate occasions! the second deposition was on March 24th. Mr. Taggart's email shows I questioned (i.e. deposed) a third time by him! we told you in our meeting today."